I brought my newly published book, “Risky Strategy”, with me to my hair appointment this morning and placed it on the counter in front of me. Lauren, who was cutting my hair, asked me about it, so I explained that it was about how we evaluate risk when we make decisions. She asked me if I wanted a number 5? I had never had this kind of cut before, and it sounded quite radical! But I realised I was in a place where I could demonstrate something of what I had written about, so I said: “OK. I’ll take the risk!” She said a number of things to help me feel safe with this risk, like: “It wont be that short!” and “I wont apply the machine to the top of your head”, where things are a bit thinner. And I instantly felt better. I then talked about one of the other ideas in the book. We tend to deal with risk either as “tigers” or “elephants”. Elephants think about risks analytically, evaluate, take their time. Tigers are more intuitive, quicker decision makers – work more on gut feeling. We all have a bit of both in how we deal with risk, but some are more tiger and some more elephant. Then the next door hairdresser immediately piped up that she had a friend who was very tiger, and that she tended to be the elephant in the relationship, encouraging her to think more carefully. My hairdresser then responded that she was probably more tiger and that sometimes our tiger, gut feeling, can be spot on for some reason. I then mentioned that in the book I talk about a New York trader, who went on to study medicine at Cambridge University. He has written about a phenomenon involving our hormones, and gave examples of how traders would sense a slight change of tone in someone’s voice, and know instantly they needed to sell their investment – a fast decision that would turn out to be necessary just before the price dropped dramatically. The client in the chair next to me then said that she had previously worked in the City in London back in 2008, and that a trader had noticed a slight change in a price index, and known intuitively that there was something wrong with the market. A few days later, the banking crisis started to unravel! 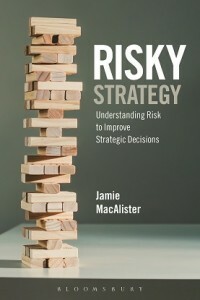 I talked about how the cover of my book, showing a Jenga Tower, related to a scene from a recent movie, “The Big Short” in which a banker, Ryan Gosling an d colleagues is trying to convince Steve Carrell, a hedge fund manager and colleagues to invest in a financial instrument to go “short” on the US mortgage fund market. He explains that bricks in the Jenga Tower represented different low quality investments that were going bust, as he pulled bricks out and threw them dramatically into a metal bin behind him. Then as the tower collapses, he says: “Then this happens!”. Carrell responds: “Whats this?”. Gosling replies” “The American mortgage market!” Great drama. And I’m thinking, I hope I don’t experience this level of drama when I see the result of my haircut! Previous PostBREXIT is more risky, but is it the land of opportunity? Beware loss aversion!Next PostGut feeling works for financial traders – tigers in action! Is Bobi Wine a Strategic Pioneer, challenging the status quo? Is he taking the right risks? Professor Yunus – Strategic Pioneer in micro-finance and social entrepreneurship.